What started as a jungle of northeastern invasive plants was groomed into a unique, usable space for this growing family. 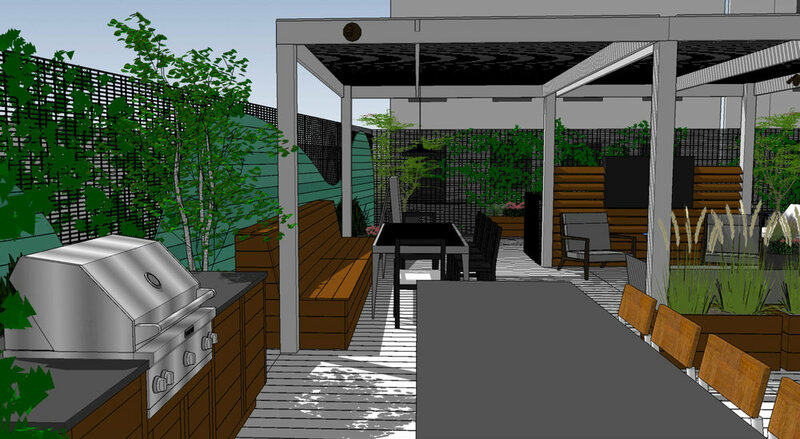 The design works with the existing native foliage to keep the privacy, while adding modern elements like the echoed arbor for a clean style. Brick stairs open to a bluestone patio for a dining area. 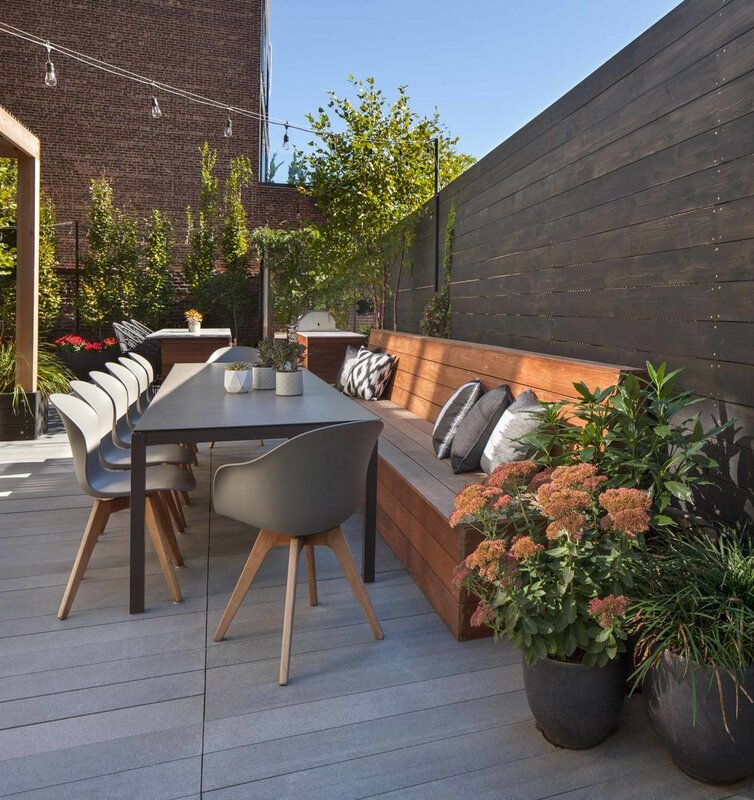 The arbor + treaded bluestone pathway elongates the space, leading to a clear cedar deck. 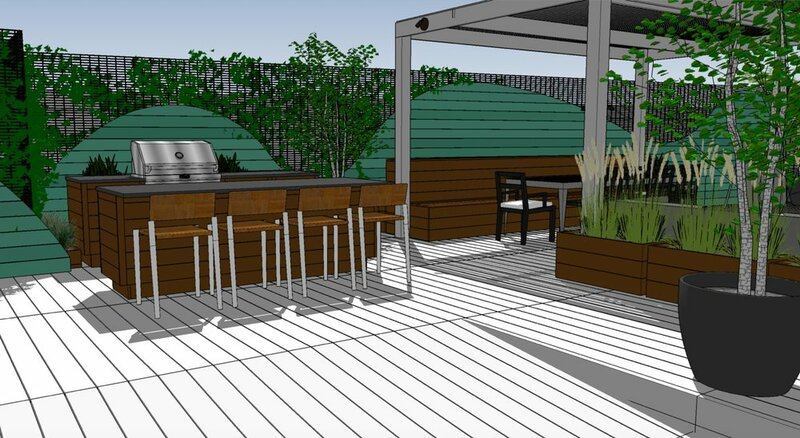 The space is wrapped in a cedar fence and string lighting, creating a warm + inviting feeling. 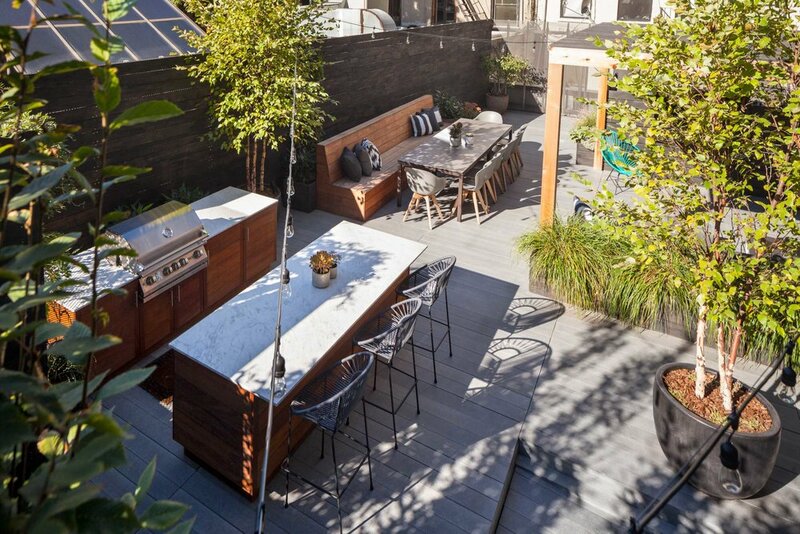 Copyright © 2018 Landscape Contractors New York® All rights reserved.